JayWood - Big Fun 2018 by INNERVISION from BIG FUN FESTIVAL on Vimeo. Big Fun 2018 Trailer from BIG FUN FESTIVAL on Vimeo. pout - Big Fun 2018 by INNERVISION from BIG FUN FESTIVAL on Vimeo. 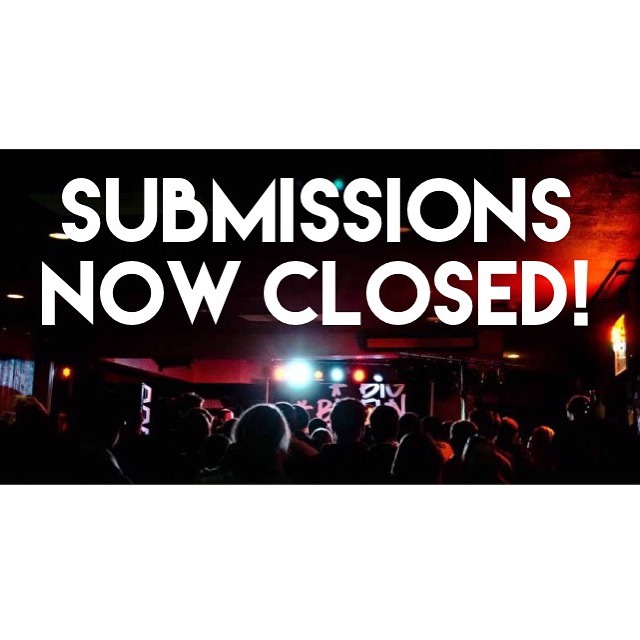 Submissions for the 7th instalment of the Big Fun Festival are now closed! Winnipeg, thank you. Thank you to all the artists, volunteers, sponsors and venues who helped make #bigfun2017 such a success. From cramming into a smoke(machine) filled punk show at The Handsome Daughter with DISCO NEEDS A SQUEEZE, to partying with MahoganyFrog and Slow Down Molasses in the middle of the frozen Assiniboine River at Raw: Almond, to listening to members of our community discuss the importance of Safer Spaces at Fools & Horses Coffee, this year was full and wonderful and couldn't happen without you. Big Fun 2017 - Basic Nature from BIG FUN FESTIVAL on Vimeo. Ivory Waves - Big Fun 2017 from BIG FUN FESTIVAL on Vimeo. Big Fun Trailer 2017 from BIG FUN FESTIVAL on Vimeo. 3Peat - Big Fun 2017 from BIG FUN FESTIVAL on Vimeo. THE BIG FUN 2017 LAUNCH PARTY! 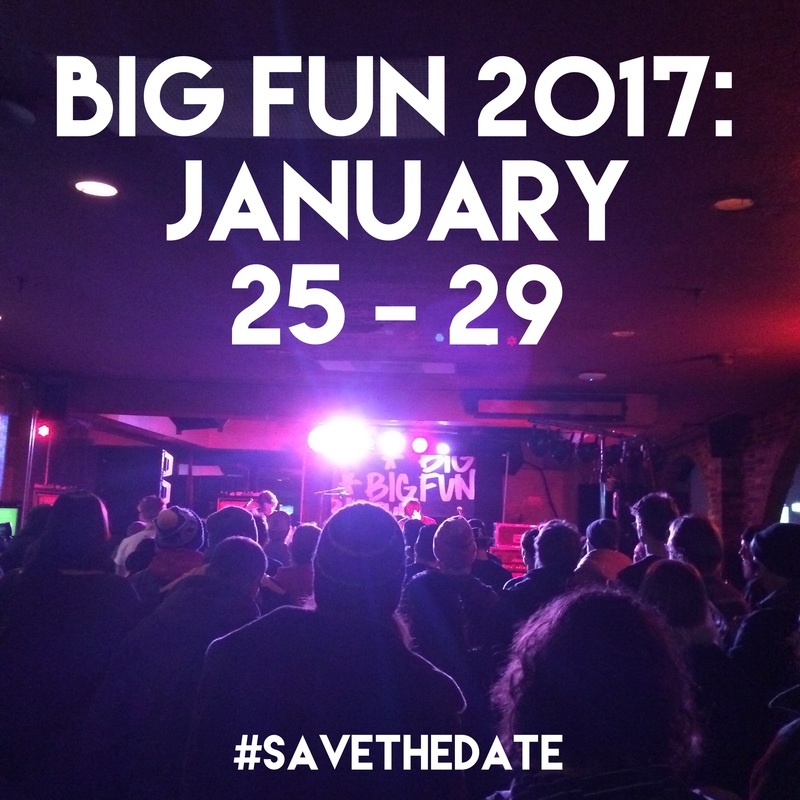 December 22 come down to the Good Will Social Club to help us celebrate the lineup announce for #BIGFUN2017! 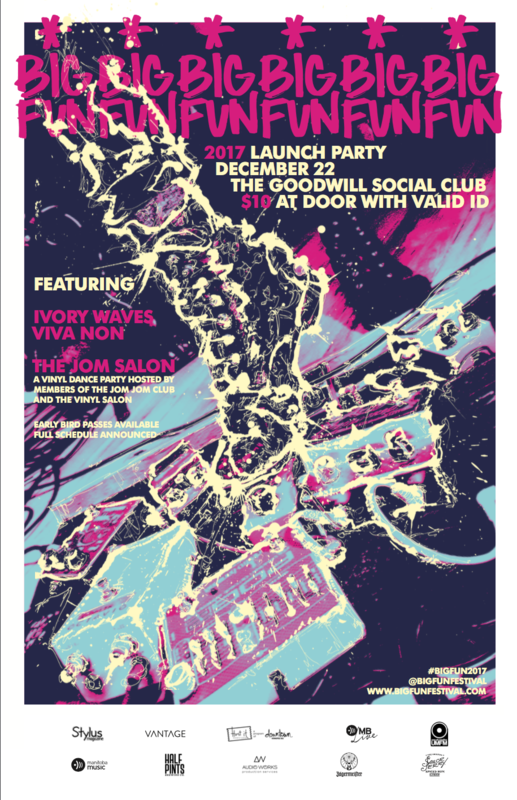 Featuring Ivory Waves, Viva Non and The Jom Salon (an all vinyl dance party by members of The Jom Jom Club and The Vinyl Salon). Early Bird priced Festival Passes will be available this night only! Let's celebrate. 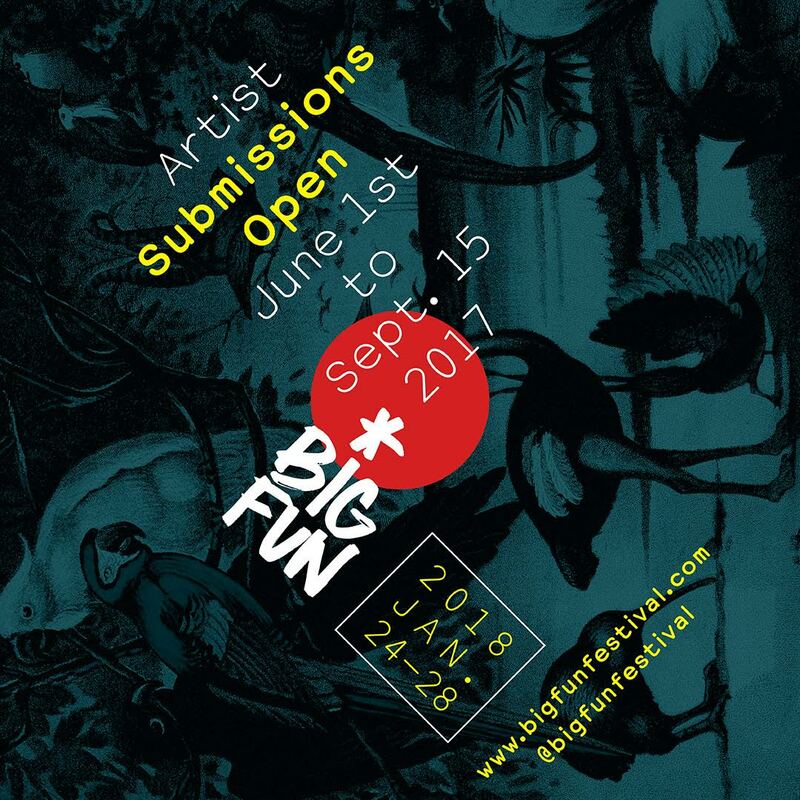 SUBMISSIONS FOR BIG FUN 2017 NOW CLOSED! 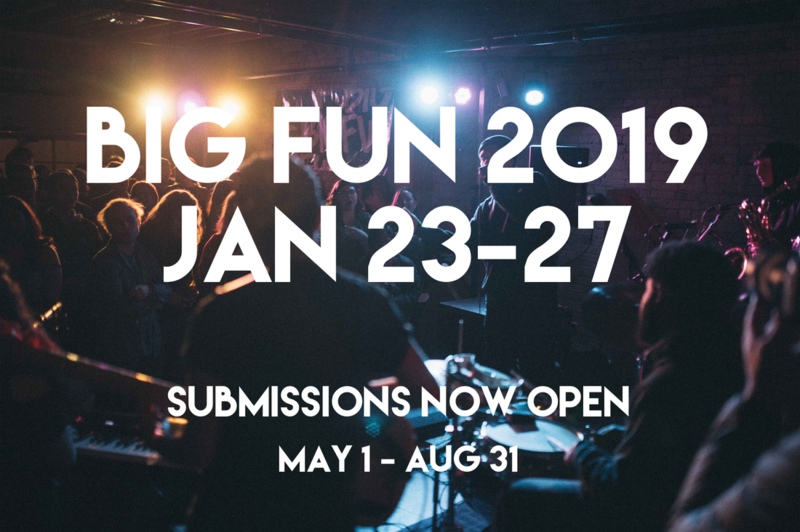 SUBMISSIONS FOR BIG FUN 2017 ARE NOW CLOSED! Thanks to everyone who submitted! We'll be in touch. Big Fun Trailer 2016 from BIG FUN FESTIVAL on Vimeo. Living Hour - Big Fun 2016 from BIG FUN FESTIVAL on Vimeo. 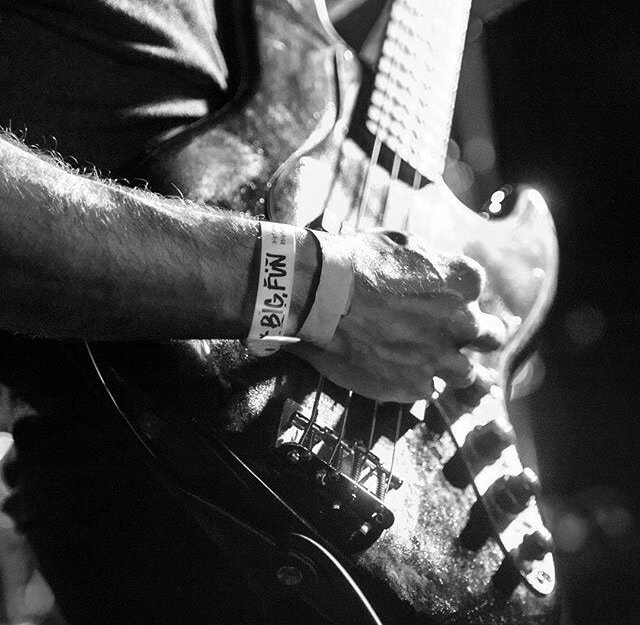 Living Hour play Big Fun 2016 Friday, January 29th 2016.